Hey, we get that we’re not Consumer Reports, but we do cover the craft beer scene 24/7 and as a result, beer-themed merchandise occasionally comes our way… Like the newest version of the consumer friendly, automated brewing system called PicoBrew. Often referred to as the “Keurig coffeemaker for beer,” this counter top system enables anyone from the neophyte, wanna-be-homebrewer, to the seasoned professional to be able to easily brew fresh beer, in a convenient fashion. Everything you need to brew 5 liters of beer comes in the Pico Model C by PicoBrew packaging: the brew unit with Step Filter, the 1.75 gallon brewkeg/fermenter, a 5 liter serving keg, plus all the hoses, cleaning detergent, and most importantly, the PicoPak which includes all your raw materials for brewing. The PicoPak, which is either built as a predetermined “clone” recipe (there are over 100 available on their site) or a build-your-own custom made FreeStyle PicoPak, includes a GrainsPak, a HopsPak, a dry-hop addition (if applicable), and the appropriate yeast. Instructions for the system can all be found in a pdf file, which some may wish to print up, though navigating via our phone worked just fine. Also know that the super helpful scrolling display on the front of the brew system gives you MOST of the direction you need, but you cannot rely solely upon it. The system itself, which also doubles as a Sous Vide, almost sounds like a dishwasher when running, so it’s not too loud, but definitely makes some strange noises. Each step in the brew process is detailed on the display, and the system is connected to the internet via wi-fi, so you can also track the entire brew through your “brewhouse” on the PicoBrew site (at left). One of the newest features available for the system, which we got to test out early, is the PicoFerm. This nifty tool that attaches to the brewkeg/fermenter enables you to track the fermentation process, which we kept close track of on our phone as well. For the Pico Model C system, a brew takes a little over 2 hours to complete, which is all stored in the brewkeg/fermenter. After cooling overnight, the yeast is pitched to begin fermentation, which takes about 7 days. Next there was a 4 day dry drop addition, then lastly, another 10-14 days for carbonation and conditioning. The end result is fresh and true to the beer style we chose, the Oakshire Watershed IPA. But just like any other brewing experience, even though this has clear instructions, there are still places you can stumble, so you have to be diligent not to cut any corners. And the more you use it, the better you’ll nail the process, and the better your results will be. 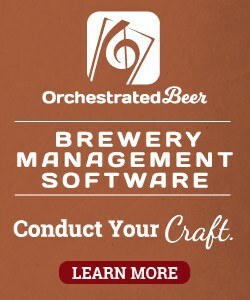 So even though it’s automated, it might take you a few batches to really dial your beers in. We also had a cold snap during fermentation, so we could see via the readout provided by the PicoFerm (at right), that overnight the temperature dropped to a less than ideal fermentation temp, so we quickly turned the heat back on! This is a great gift for the aspiring brewer, for the casual brew hobbyist, and for anyone who wants to avoid the ramshackle and often messy nature of building your own homebrew set up. You’ll be able to brew any number of classic styles, conveniently at home, resulting in a fresh keg of beer in your fridge. How can you go wrong with that?! Cheers! Warren is the former Assistant Editor & Portland Correspondent for American Craft Beer. 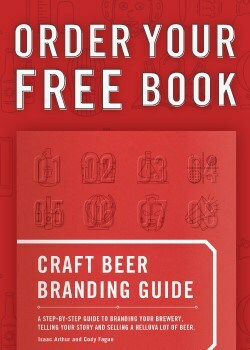 Creator of "The State of American Craft Beer" series, he now maintains his own site at craftbeerscribe.com.